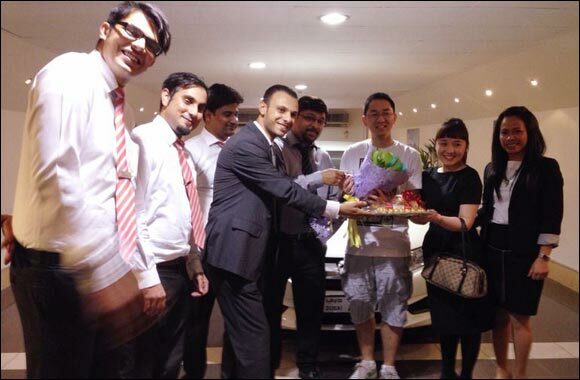 Dubai, June 02, 2014: Following the launch of the all-new 2014 Honda CITY, Al-Futtaim Honda has announced the delivery of the first vehicle in the UAE. For more information or to book a test drive, please visit www.honda.ae, or call 800 HONDA (800 46632). Al-Futtaim Honda is exclusive distributors for Honda vehicles, motorcycles, marine engines, power products and parts in the UAE. Recognised as one of the largest independent Honda distribution companies in the world, Al-Futtaim Honda is supported by a network of 10 modern showrooms, 11 aftersales facilities and five retail part counters located across the UAE. The showrooms are open from 8am to 9pm Saturday to Thursday and 4pm to 8:30pm on Friday.